Carpet is one of the softest flooring materials available, providing a cushioned surface for your feet in almost any location. To ensure you get a style that's appropriate for your space, it's important to know the characteristics of the different types of carpeting available. Made with a variety of synthetic and natural fibers, the four most common materials being nylon, polyester, polypropylene, and wool, carpet is made by looping yarn through a backing material in a movement similar to sewing a button on a shirt. These loops can then either be left intact or cut at various angles and lengths. The way the loop is treated is known as the carpet pile. Nylon is very soft, durable, and resistant to stains and abrasion. The highly resilient fibers can be revived by steam-cleaning to restore much of their original loft. Nylon is the most popular carpet material and is used in roughly three-quarters of all manufactured carpeting. Polyester is prized for its ability to hold vibrant, fade-resistant colors. The fiber is also non-allergenic. In many cases, this material is made from recycled plastic bottles, making it eco-friendly. Its main drawback is that it is prone to flattening under weight, making it a bad choice for high-traffic areas. Polypropylene is almost as soft as nylon. Also known as olefin, polypropylene fibers are similar to natural wool and are often used as a synthetic wool substitute. This fiber is highly stain-resistant but is prone to soiling, or holding onto oils which, in turn, collect dirt. It is also not as resilient as nylon, so is therefore commonly used for loop-style carpets, such as Berber. Wool, a natural, luxurious, long-lasting material, is the softest carpet fiber you can find. Unfortunately, low-grade wool is more susceptible to staining, while high-grade wool is extremely expensive. Some manufacturers combine wool with synthetic fibers to create a carpet with the benefits of both. Also known as "loop pile" or "Berber pile," uncut carpet pile leaves the entire yarn loop intact on the surface of the piece. These carpets tend to be highly durable, easy to clean, and resistant to stains, making them perfect for high-traffic commercial applications. Uncut pile carpets also don't show indentations caused by footprints and vacuum marks. The main drawback of an uncut pile is that it tends to be less soft and padded than cut-pile carpet. Also, the loops can be a snagging hazard, particularly for pets or small children. Cut pile typically produces soft, inviting, easy to clean carpets. Different styles can be created by changing the angle of the shearing that slices the loop, or by using different treatments on the thread before and after it is inserted into the backing. On the downside, the rigid nature of the threads makes it easier to see foot marks and vacuum trails. It also makes wear-and-tear more obvious, meaning these carpets must be replaced more often. 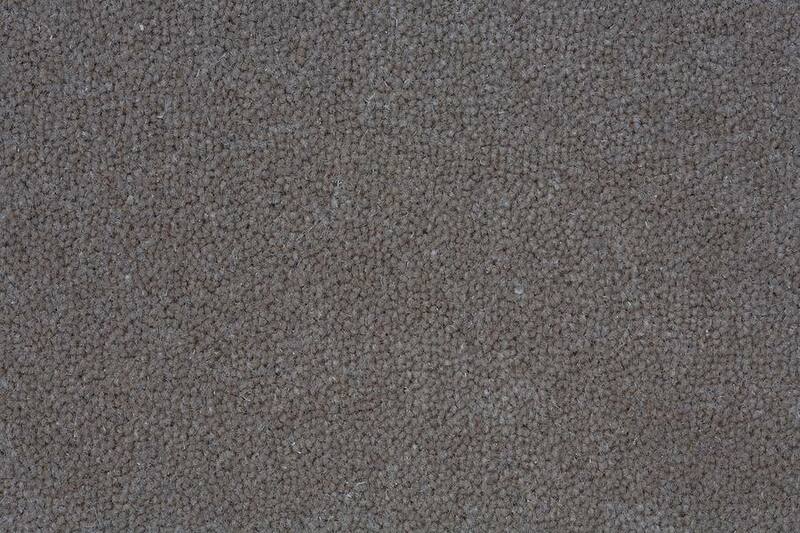 Saxony pile is made of individual strands standing straight up and down to create a lush, fuzzy surface. The drawback to this style is that those strands are easily crushed down by feet and vacuums, leaving impressions on its surface. It is also susceptible to wear-and-tear, as well as staining, making Saxony carpets a floor treatment to be used only in low-traffic areas. This style is also called "trackless" because it doesn't show footprints and other marks in its surface as much as other cut piles such as Saxony. This is accomplished by taking individual yarns and twisting them into spirals, which are set using heated steam. The spiral strands do not reflect light as much as straight strands, so it's not as noticeable when spirals are crushed down. This pile is suitable for mid- to high-level traffic areas. Frieze cut pile consists of individual strands tightly twisted and kinked, causing them to curl erratically across the surface of the carpet. This highly durable style tends to hide dirt and wear and is suitable for high-traffic and commercial settings. Sometimes called "velvet cut pile," this style features short, densely-packed fibers which, together, create a rich and luxurious carpet surface. Unfortunately, this carpet style is fairly temperamental. Prone to wearing down, scuffing, and showing footprints, velvet carpet pile should only be used in luxurious, low-traffic settings. Which Carpet Style Suits Your Decor? How Does Carpet Buckle or Ripple? What's the Big Deal About SmartStrand?